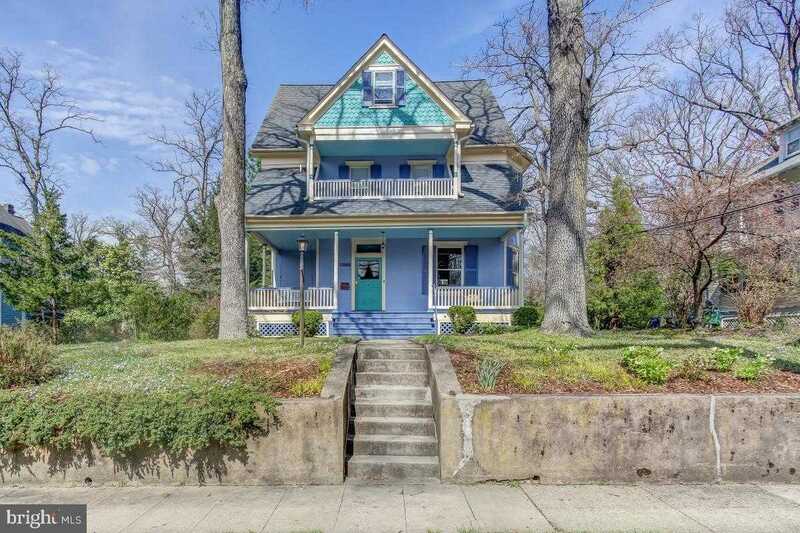 Simply wonderful Victorian, an example of the late-Queen Anne style of architecture, enjoys a spectacular, award-winning addition and oh-so many bright, pleasant spaces to savor – all just steps to both downtown Silver Spring _and_ Old Town Takoma! Receiving hall with beautifully paneled, turned stair hall. Spectacular kitchen w/ high-end appliances, custom cabinetry, walnut-topped island allowing for convivial living. Vaulted, beamed family room w/ fireplace, extensive A/V setup, and gorgeous dining/ morning room behind, all leading out to a pleasing patio and deep, level lot. Great indoor/outdoor living! Upstairs, 4 bedrooms including master en suite. Second upper level ~Bonus~ space great for recreation, guests or a study level. All set in the Historic North Takoma, among parks, playgrounds and just a few blocks to metro. Enjoy! Open Sunday, 4/14, 2-4PM!